A very warm welcome to you if this is your first visit and welcome back if you’ve wandered around here before. 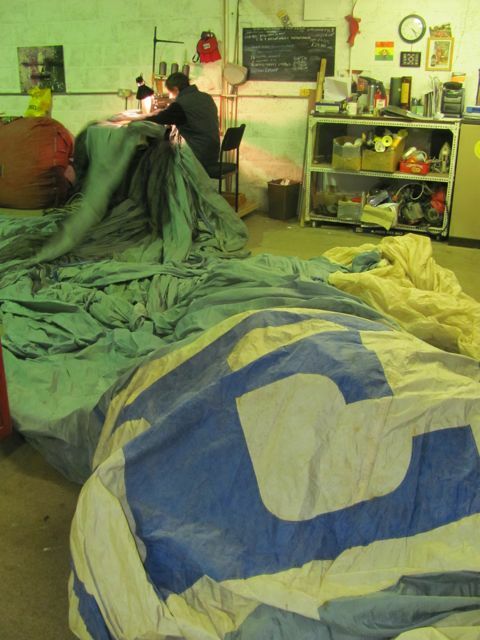 Essentially Easy Balloons Ltd is a Part M Subpart F & G Organisation looking after continued airworthiness matters so on the site you will naturally find general (and not so general) airworthiness stuff. Elsewhere are all sorts of varied articles on stuff we hope you enjoy. Check out the news and the welcome return of the Mince Meet at The Black Horse, Great Missenden, burseries on offer from the RAeC and The Air League and Ultramagic’s latest Maintenance Manual update. Elsewhere is a bit about the Long Jump from Robin Batchelor and some pics and results from the Tochigi Championships in Japan along with a very useful guide to upcoming EASA licensing. In the process of being written is a bit about the Flames and more on mechanical mania. The workshop will be closing down over Christmas from about Tuesday 19th December until the New Year. If its vital then the answerphone will be on and messages picked up or drop us an email and we’ll get back to you. A really big thankyou to everyone that has visited the site and have supported us this year. It is very much appreciated and a warm welcome is always there if you want to come and visit. We will going to Len and Helen’s Mince Meet and The Icicle so hope to see you there. The website has come on in leaps and bounds, thanks for the nice messages. If you want to stick something on it please get in touch. It doesn’t have to be about balloons, it can be anything (subject to getting it past Barry). We are currently experimenting with a comments page but it isn’t simple enough for me to use yet so a little more work needs doing. Thanks again for visiting and your custom. Please stick around and have a browse, we hope you enjoy the site. Most of the piccies get bigger if you click on them and loads of stuff is downloadable. Have a very Happy Christmas and Great New Year. All the best from Chris, Jane and John.